General Motors announced its plans to increase the production of the current Chevrolet Volt, a model that received a positive feedback since its debut. 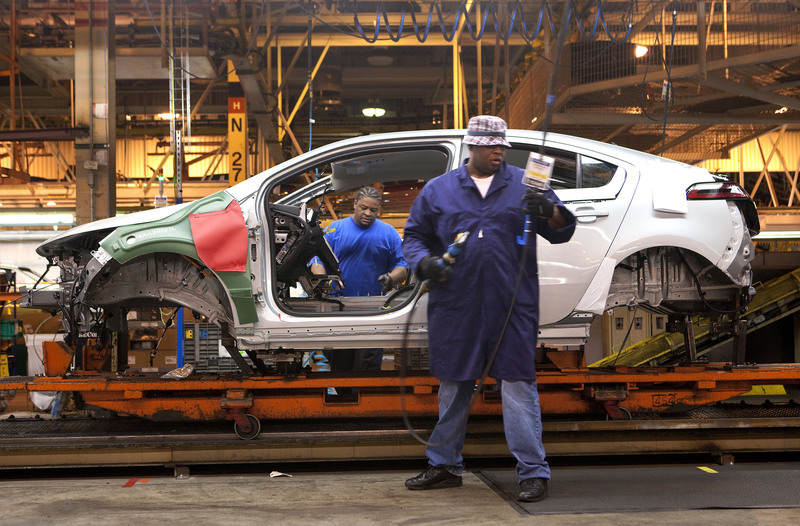 The big demand for the American plug-in hybrid determined GM to take immediate decisions regarding the Detroit-Hamtramck Assembly factory which currently struggles to handle the demand. According to the official statements, starting next year, the Detroit-Hamtramck Assembly plant will produce 60,000 units a year which should be quite enough to ensure that the orders will be duly honored. Moreover, the Americans will increase the production rate for 2011 to 16,000 units, but this will not start right away as there are still some modifications to be made until then. More exactly, starting June, General Motors will temporary close the plant in Detroit in order to modify the assembly line. Therefore, they will prepare the factory for the increased production of the 2012 Chevrolet Volt but also will start producing the 2013 Chevrolet Malibu. Shutting down the production for a month will result in a limited availability of the plug-in hybrid for June and July but as soon as the production resumes, GM will recover the lost ground. 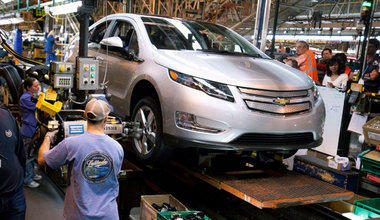 As a result of the increased production rate, Chevrolet Volt will be available in all the U.S. states by the end of 2011 as currently only just 10 cities in the U.S. are currently benefiting from the model. More exactly, Volt is currently marketed in California, Connecticut, Michigan, Maryland, New York, New Jersey, Texas, Washington D.C. and Virginia. However, this situation is about to change starting later this year while the Canadian, Chinese and of course European market will get the hybrid model around the same period. 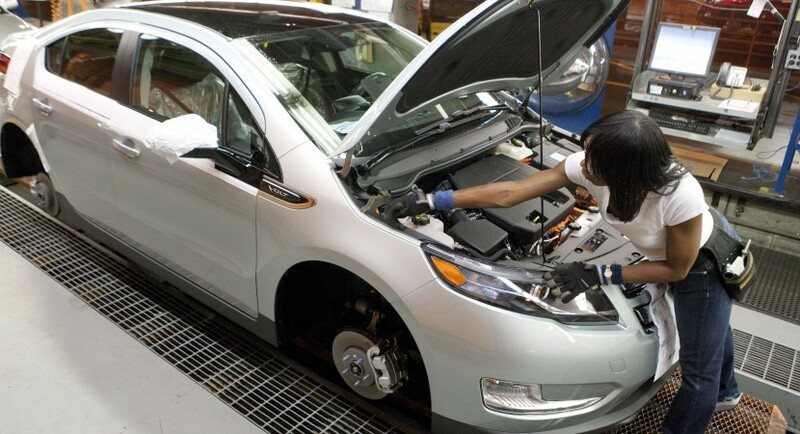 Even the Chevrolet Volt will be sold globally by late 2011, General Motors states that just 15,000 units will leave the U.S. borders while the rest of 45,000 vehicles will meet American customers. 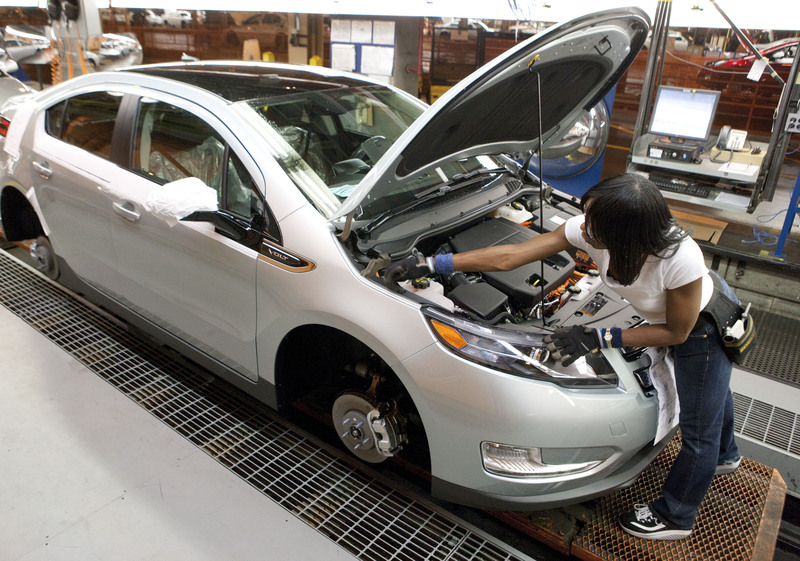 Chevrolet Volt is currently manufactured only at the plant in Detroit, Michigan, and the official debut in the U.S. took place in December 2010. The model features a 16 kWh lithium-ion battery that ensures a driving range of 55 kilometers with zero emissions while the gas-powered engine extends the autonomy by 555 kilometers. According to the United States Environmental Protection Agency (EPA), Chevrolet Volt plug-in hybrid is the most fuel-efficient car sold in the United States, thanks to the fuel consumption of 93 mpg in the electric mode.